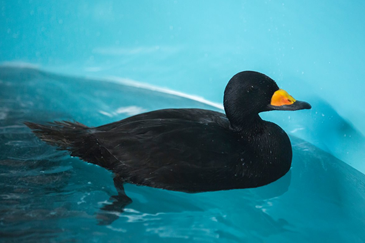 A tropical seabird that’s rarely seen in North America was picked up in Wellfleet on Tuesday, authorities said. 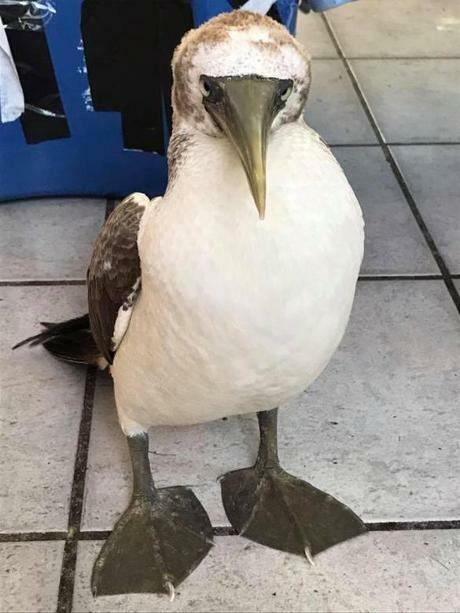 The bird — known as a masked booby — apparently got swept up with Hurricane Jose and ended up on the Cape, many thousands of miles away from its natural habitat. 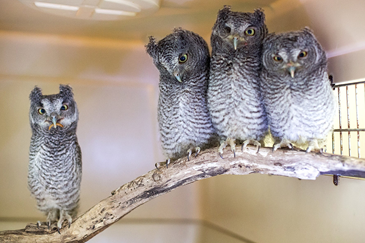 The bird is now recuperating at Wild Care, a nonprofit wildlife rehabilitation center in Eastham. “It’s an uncommon bird from the deep Caribbean,” said Mark Faherty, science coordinator at Mass Audubon’s Wellfleet Bay Wildlife Sanctuary. The bird was rescued on the shore of LeCount Hollow, an east-facing beach in Wellfleet. It was the first masked booby sighting ever recorded on Massachusetts soil, Faherty said. “This was monumentally rare,” he said. The only other time a masked booby has been seen in this area was in 2015, when one was spotted 100 miles south of Nantucket, Faherty said. Stephanie Ellis, the executive director of Wild Care, said the bird was in rough shape when it was rescued from the beach Tuesday. Ellis is asking people not to visit or call for updates on the bird’s condition but to instead check Wild Care’s Facebook page for updates. The masked booby is not the only bird that ended up here as a result of Hurricane Jose. Wild Care officials said they are also caring for several shearwaters, gannets, and a cormorant. Those who want to contribute to Wild Care’s rescue efforts can make a donation at www.wildcarecapecod.org/donate-today/. Ellis is also asking the public to look for any other feathered visitors that might need help. Faherty hopes the masked booby will make a full recovery. “The bird is in good hands,” he said.